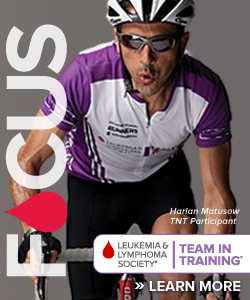 After nine months of training, planning and fundraising we are only a few hours away from the start of the 2014 Race Across America. The last week, particularly the last few days here in Oceanside, was crazy with pulling together all the final logistical details and supplies. Our two min-vans, driven Ron and Neil, left Atlanta last weekend, packed full of coolers, spare parts and a dozen bikes. Everyone else flew into various airports north and south of Oceanside until we were all finally assembled together on Thursday. Thursday and Friday were a whirlwind of getting all three of our vehicles prepped for inspection. Our 12 bikes, three vehicles, eight spare wheels and 16 helmets were all closely inspected for conformance to the standards for safety. We passed with flying colors and the inspector complemented us on how light and compact our vehicle configuration is for an 8-person team. Unlike most teams we do not travel with an RV. We use the two mini-vans as “follow” vehicles and they are always out on the road with the cyclists. Our third vehicle is a 12 passenger Mercedes Sprinter van (one of our sponsors) that we use to shuttle half of the riders and crew to motel rooms every 12 hours. One of the highlights of the pre-race week was a press conference in Oceanside that Frank and Dave Gluck were invited to, along with members of a few other teams. One of the other teams, Legends of the Road, is made up of some well-known pros, including most notably Dave Zabriskie, who sat a couple seats down from us. Undoubtedly, that as the closest any of us will ever be to sharing the limelight with cycling royalty (Dave was the first American to win a stage at all three grand tours, and was seven-time US time trial champion). Once we got through all the inspections the team had a little time on Friday afternoon to get on their bikes and ride. Dave and Ben scouted out the first 10 miles of the route, as they will be riding together on the first 24 miles of the race. This is the only time we will put two riders out together and we do it because they will not be supported by a follow vehicle on this section. The rest of the team took a ride along the Pacific Coast Highway, where a buddy of Dave Gluck’s filmed them from the air using a drone. Be sure to check out the video on YouTube. We are using a similar strategy as in years past to rotate our riders and crew throughout the race. We first split into two shifts – day and night – each with four riders and five crew. The day shift rides from 5am to 5pm EDT time every day. The night shift rides from 5pm to 5am. At end of each of those 12 hour shifts we completely change over riders and crew. At the exchange point the new shift gets a rider on the road and the prior shift jumps in the Sprinter and drives ahead about 250 miles to eat, shop, do laundry and get as much sleep as possible before rotating in 12 hours later. As coach Tony would say – lather, rinse, repeat. We are aiming to get out a newsletter update every morning which contains updates from both the day and night shifts. We promise fans of the royal family that we will report on any sightings of Pippa Middleton, sister of the future queen of England, and her 8-person team. There was some buzz about them last night because as of that time their bikes had not arrived from the UK yet, and they were checking into whether they could find new bikes to buy and get fitted locally before the race. Embarking on this race with brand new, never before ridden equipment is something no cyclists would normally do so we are wishing them the best of luck if it comes to that. Official start time is noon local time, but since the race uses a time trial start, our team won’t roll until about 12:45 pm local. Once we start, everyone will change their clocks to “race time” which is EDT. The goal is to beat our previous best time of six days and 13 hours, possibly arriving in under six days. More importantly, we also have a goal of raising a quarter million dollars for The Leukemia & Lymphoma Society. Thanks to so many of your generous donations we are at $222,000. Just another $28,000 to go! This entry was posted on Saturday, June 14th, 2014 at 3:51 pm and is filed under Uncategorized. You can follow any responses to this entry through the RSS 2.0 feed. You can leave a response, or trackback from your own site.